Thanks Futurewise for asking me to a part of “Place Matters” by Vignette Creative. Your work inspires me to share my story about why places for people matter. When I think about place, I reflect on the place I call home. I have lived up and down the west coast from San Jose, California to Vancouver, Canada. Most of my adult life I have lived in Seattle. I have lived in nine Seattle neighborhoods. And if you know Seattle, you know that there are distinct features to each neighborhood. Each of these places — from Ballard to Rainier Beach — have wonderful assets. Whether connection to Lake Washington or Puget Sound, unique restaurants, parks, or the people, it is how we connect to our surroundings that gives a place depth. 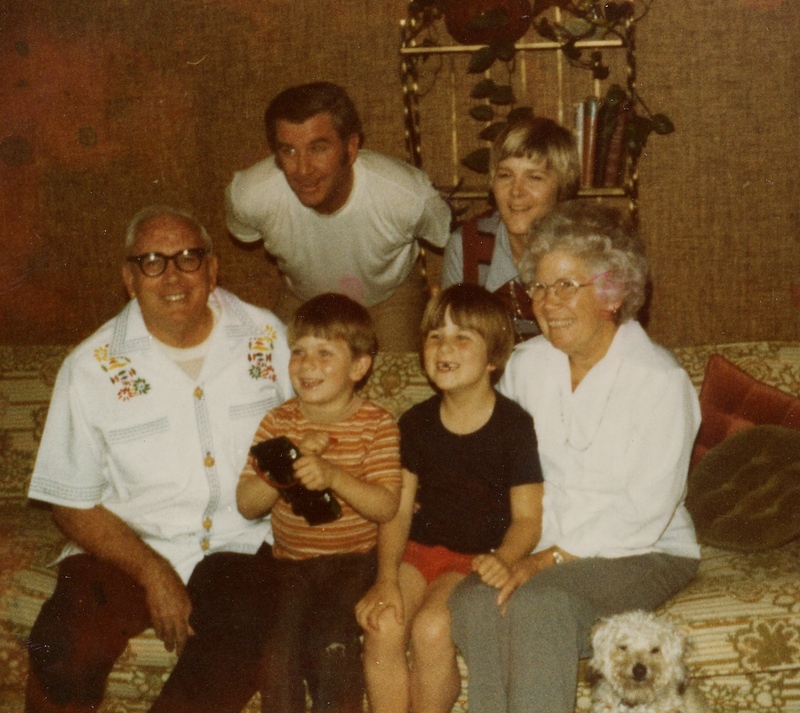 Me with my parents, grandparents, my brother Jeff, and dog Suzie in our living room. 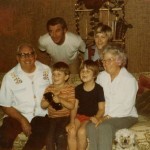 Circa 1977. I grew up in California in a town called La Verne, which is part of the Inland Empire just 45 minutes east of Los Angeles (without traffic). My childhood of the 70’s generates memories of playing in the street with my younger brother Jeff, riding my banana seat bike, climbing our “acorn” trees, playing sports, and walking to my friend Andrea’s house among a sea of track homes. Despite its suburban nature, it was a magical place that backed up to acres and acres of lemon groves, until they were cut down for a developer who built a bunch more track homes. While my childhood neighborhood wasn’t purposely designed to walk to places, which is important to me now, my childhood felt safe, connected to neighbors (who I still talk with when I visit my parents) and brought a lot of joy to my life. Places matter because they attract people of talent who in turn inspire others. When we design our cities, towns, and communities in meaningful ways, they are part of a healthy ecosystem thriving and changing over centuries. When a place is healthy it produces great culture, boosts innovation, and generates economic activity. People account for much of that outcome. When we create places for people, places that we can walk to and not depend on a car to get around, we are positively strengthened by these interactions. I recently bought my first home in Beacon Hill, a neighborhood in Seattle. My criteria was to be in close proximity to the light rail, grocery store, park and my favorite cafe and bars. In addition to meeting these goals, I am fortunate to be a part of a neighborhood with a “can do” spirit. This thriving neighborhood is rich with culture. I sense its importance. People hunger for real places and yearn for places with character. I often wonder how we give merit to a place. There is no magical scorecard to determine what makes a place great. Even Walkscore doesn’t have this in their algorithm. It is more than the sum of its parts and can’t be counted. And because we can’t measure it, we end up not valuing the importance of place as an organic whole. I believe when we focus on the power of place we will have key advantages over cities that pay attention only to the pieces. We will enjoy greater prosperity, health, and quality of life; this is why I believe places for people matter.